GADGETS AND GIZMOS!! New toys! I had never heard of this product before, but after some research, I discovered that it's the darling of Australia with a cult status not unlike Yu-Be or Cleopatra's Cream. In other words, cult status. One of those "get introduced by someone in the know and become obsessed with it" kinda action. Now I know why. This is a multitasking, healing powerhouse. The ingredients all work together to create the perfect storm of skin healing. I've used it on bug bites, scabs, ashy knees, rug burn (wow, I sound gross- I promise I'm actually a dainty princess) overwashed dried out hands and a rosacea flare. I thought the gel would be sticky, but upon application, it melts into the skin leaving it butter soft. It starts off with a strong scent because of the essential oils, but it disappears in a few minutes. I even used it on my face (see rosacea flare) and at first I was all "nope, not on my face". I really don't care for most strong scents on my face and I thought in that case it would be dealbreaker, but after a few minutes the scent was gone and I was left with GORGEOUS glowing skin., The redness was gone and my pores were visibly diminished. My face felt incredible and it created the perfect canvas for makeup application. Potent, power packed natural ingredients that help to reduce inflammation and infection. 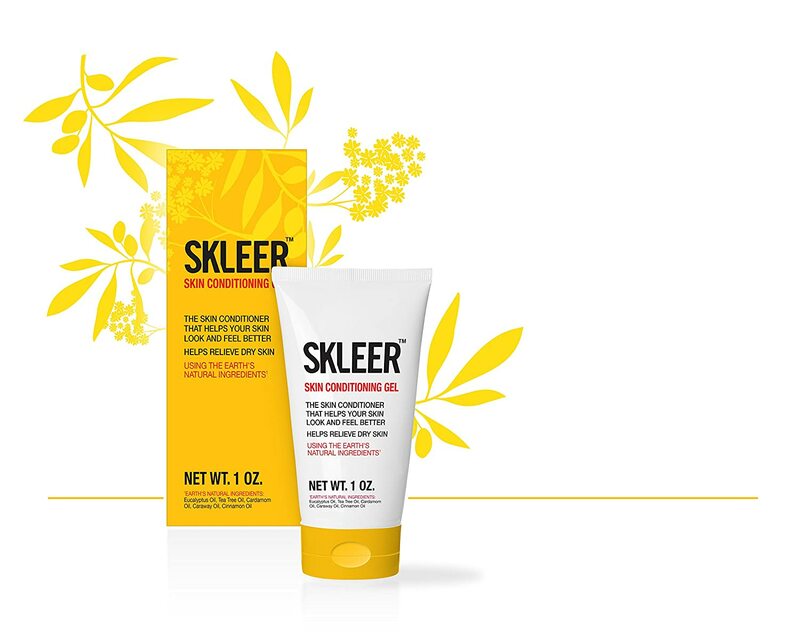 SKLEER contains a combination of essential oils: Eucalyptus, Tea Tree, Caraway, Cinnamon and Cardamom that work synergistically together to assist healing. The proprietary gel formula takes the potent essential oils deep into the skin to optimise healing. The therapeutic power of SKLEER lies in the fact that the gel takes the natural ingredients to the lower levels of the skin for enhanced penetration and effectiveness. Thanks to the unique patent pending formulation SKLEER All in One Skin Corrective is non-greasy. Have a product you want me to review? Want to sponsor a giveaway for my readers? Just drop me a line and I'll be happy to accommodate! Be sure to also check out my YouTube channel! And now there's a Facebook fan page! DashMate Cell Phone & GPS Holder GIVEAWAY TIME! Argan Oil, I LOVE you! Giveaway! Ice Ball Molds are FUN!!!! Cutis Vita Moisturizing Lotion - Wowzers! May Free Gift From Glossybox - $32 value!!! For a limited time, buy a Smile Whitening System and get a complementary Luxury Toothpaste Sampler, a $15 value, yours free! No coupon necessary.